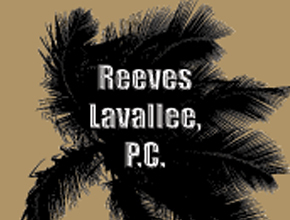 Reeves Lavallee, P.C. offers premium legal Services to select clientele. We thrive to be sensitive to each of our clients, while providing them above-average services. In addition, the firm offers superior communication, so that clients are continuously up-to-date on the status of their case, as well as a 30-minute free consultation for new clients. Our special referral program will work to both grow our business and offer existing clients discounts on future services. Nov 26 2018 Excellent service! Oct 30 2017 Nicole was great throughout my probate case which she handled for me. She was very straight to the point and always very responsive whenever I had any questions. She made a very stressful process less intimidating and help me navigate the case to a successful outcome in my favor. I would recommend Nicole to anyone needing a solid probate attorney, she is great! Oct 29 2017 Always does a great job!! Sep 06 2017 Nicole and her team are both professional and caring. I could not have had better experience and have referred multiple friends that need legal counsel. I feel blessed to have had Nicole on my side. Aug 24 2017 Nicole was an outstanding attorney. She always delivered on her promises. I would recommend her services. Aug 16 2016 I heard about this practice from my co-worker who met Attorney Reeves Lavallee at BNI. Look no further for your real estate, estate planning, or family law needs! Jan 14 2016 I used Reeves Lavallee, PC as a buyer’s attorney for the purchase of my first home. Nicole and her staff went above and beyond to fight for my best interest in an extremely difficult transaction. I cannot thank them enough! Mar 22 2015 Nicole is the only person I want representing me when it counts! She is tough and gets it done. She handles real estate and was able to speed along negotiations for my sale where the buyers lawyer was slacking. Family members have also used Nicole for her court representation in custody and visitation issues. She was phenomenal in overturning a ruling that a previous lawyer was not able to prevent. If you want someone you can trust to work hard for YOU and give you honest legal advice, Nicole is the best.